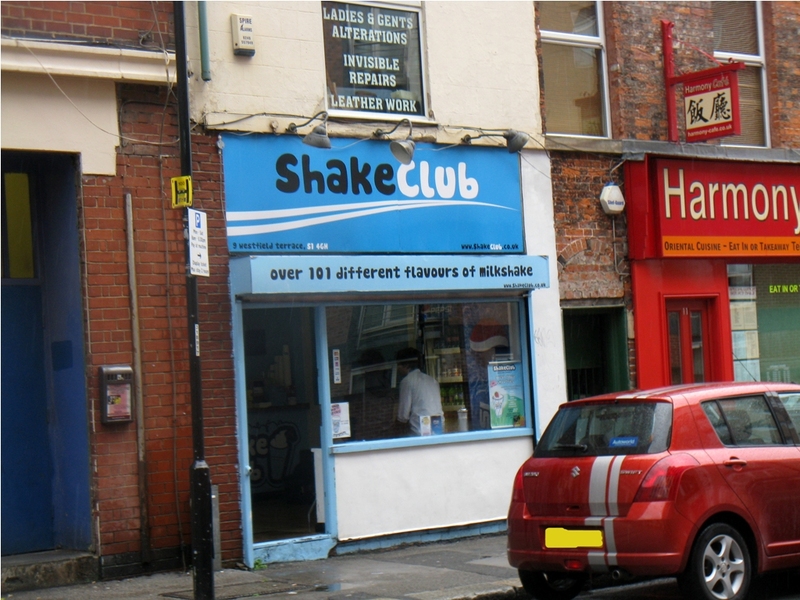 Don’t be fooled by the outward appearance of a tiny establishment called “Shake Club” on Westfield Terrace, Sheffield. 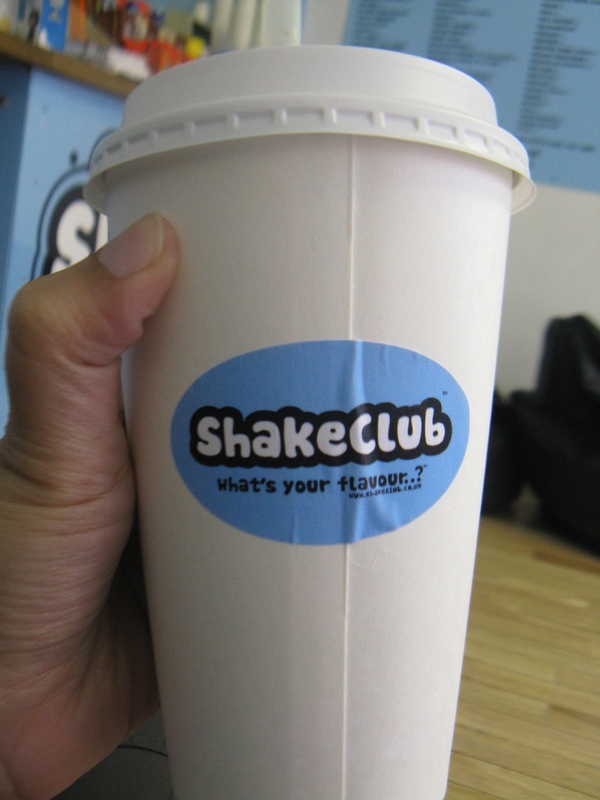 It’s one of its kind in Sheffield after all! 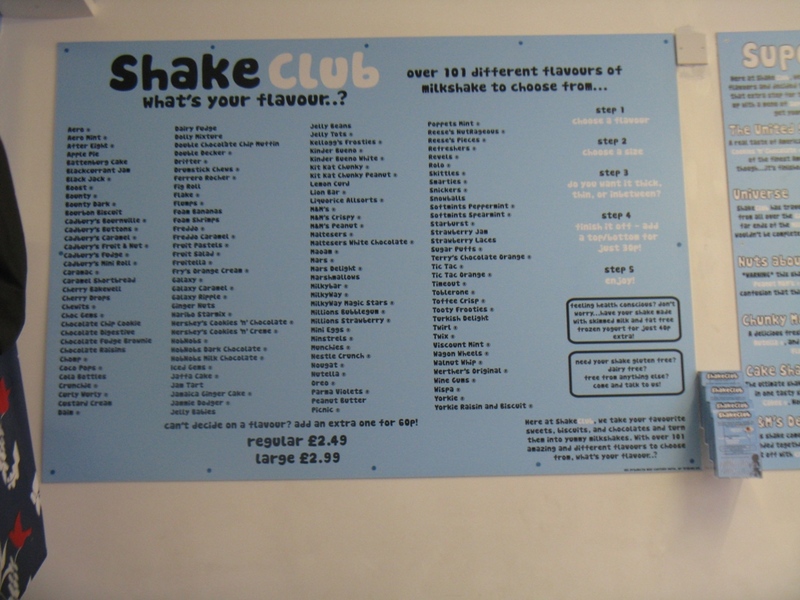 It boasts over 101 different milkshake flavours that combine your favourite sweet/chocolate with all the goodness of milkshakes. 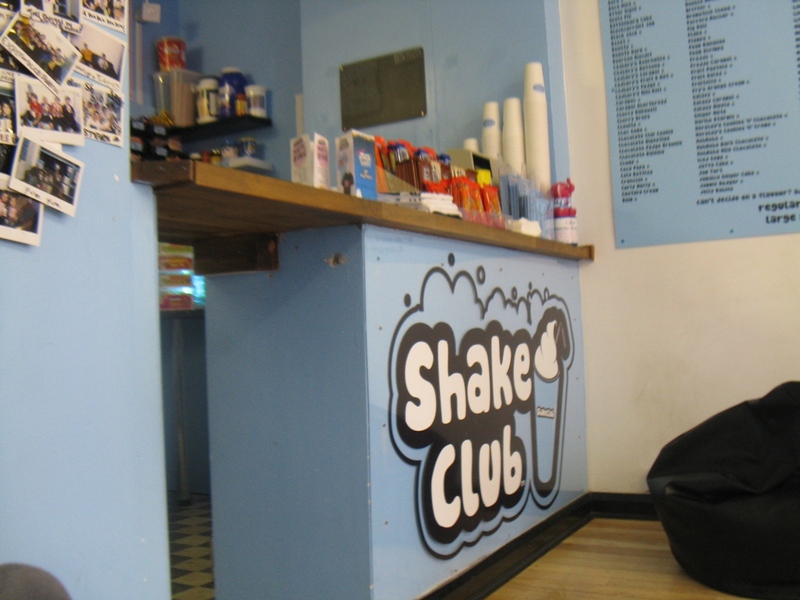 I’d gone with two other friends, and between us we had the Aero milkshake (mine; I’d asked for Time Out, but they were all out), the After Eight milkshake and the Supershake called United Shakes of America (Oreos, Hershey’s and Reese’s Pieces among other American delights; it was deemed as good as a full meal!). 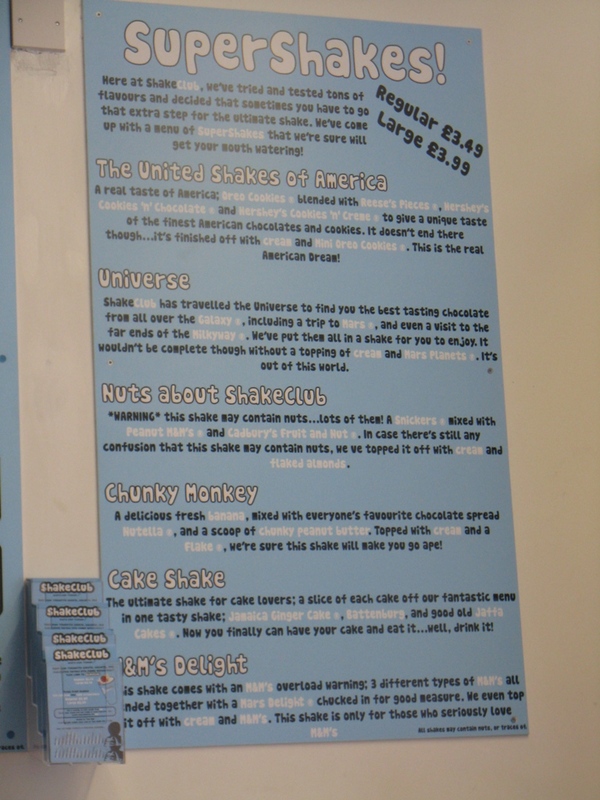 Affordable prices, so if you’re a milkshake aficionado and are in the area, be sure to have a go.